'Hymns A&M' was first published in 1861. 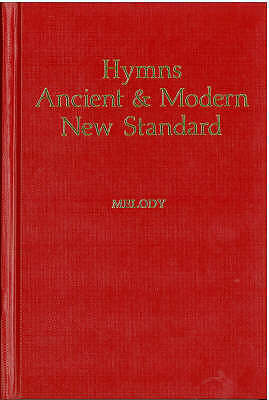 The new standard edition was introduced in 1983 containing 533 hymns including 333 from the 1950 Revised Edition plus 100 Hymns for Today and More Hymns for Today. New Standard Version : Melody and Words E by Hymns Ancient and Modern was published by Canterbury Press in November 1983 and is our 18634th best seller. The ISBN for New Standard Version : Melody and Words E is 9780907547389. Be the first to review New Standard Version : Melody and Words E! Got a question? No problem! Just click here to ask us about New Standard Version : Melody and Words E.